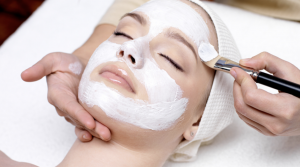 Women routinely ask us if getting a facial is worth their time and money. Facials are a confusing issue, primarily because of the endless misinformation about exactly what they can do for your skin. In fact, more often than not, women who have gotten facials give us mixed feedback: Some tell us they love how their skin looks, others see no change in their skin, and still others report that they’ve ended up with more problems than they had before they got a facial. Aside from the hype and nonsense you read in fashion magazines and the pictures you see of women serenely wrapped in a towel with a mask on their face and cucumber slices over their eyes (cucumbers do nothing for the eye area), the reality is facials can be hurtful or helpful, depending on the person who performs your facial, what exactly they are using, and what they are doing to your skin. Without question, facials are not mandatory for you to have beautiful, healthy skin, but for some skin types, and when done right, facials can be a beautiful addition to your skin-care routine. On the flipside, when done wrong, they are a waste of time and can even damage your skin. Temporary improvement of severely dehydrated skin with rich, emollient nourishing masks that begin restoring skin’s natural barrier function. In addition to the above-mentioned benefits, a skilled aesthetician will not let you leave without applying a well-formulated sunscreen. The sunscreen should contain only titanium dioxide or zinc oxide as active ingredients to eliminate any risk of irritation, especially given that most women’s skin is more sensitive right after having a facial. It’s important to keep in mind that what you do daily to take care of your skin is more important than what you do occasionally, but the combination of a great facial and a great skin-care routine can have impressive results. For most skin types a great facial should include gentle exfoliation with a properly formulated alpha hydroxy acid (AHA, active ingredient is glycolic or lactic acid) or beta hydroxy acid (BHA, active ingredient is salicylic acid) product. These are truly anti-aging, as they effectively reveal younger skin, even out skin tone, and build collagen. (Learn why exfoliation is so important and which method is best for you.) A facial also should include an antioxidant treatment, along with information on why antioxidants are so important for healthy skin. They not only repair damaged skin cells, but also help prevent further damage to the skin. Your aesthetician also should be able to recommend the appropriate skin-care products for you to use at home, and not hesitate to recommend brands or products the spa doesn’t sell. Of course, if healthy, younger-looking skin is your concern, your aesthetician should, above all else, recommend daily use of a sunscreen rated SPF 15 or greater! Learn about finding the right sunscreen for your skin type. The latest skin-care fad is the HydraFacial, which is essentially a milder form of microdermabrasion (a topical scrub procedure), combined with cleansing in a single process. The HydraFacial also claims to “infuse” serums and exfoliant ingredients like AHAs into skin and vacuum substances (“impurities”) from skin. Compared to a standard microdermabrasion treatment (which can be rough on skin if not done with great care), the level of abrasiveness from Hydrafacials is low. Although that may sound better, it means that the unimpressive results from microdermabrasion are going to be even less impressive with the HydraFacial! At best, microdermabrasion makes skin smoother and the inflammation swells skin so wrinkles and large pores are temporarily less visible. Back to the “infusion” of serums and AHA/BHA exfoliants—few spas (none that we could find) were willing to disclose the ingredients used in this procedure. Given what we know of how such ingredients work, the whole process doesn’t make sense. AHA/BHA exfoliants at professional peel strength must be applied with caution and rinsed from skin. Since skin isn’t rinsed during the HydraFacial process, we suspect at best you’re getting a fancy application of a mild AHA or BHA exfoliant (that may or may not be at the correct pH to work properly). The “serum” stage couldn’t possibly be more beneficial than simply applying your own serum. Besides, you need some ingredients to remain on skin’s surface to repair its barrier, strengthen its environmental defenses, and help mitigate the free-radical damage we get from being in an oxygen-rich environment or being exposed to pollutants. If everything penetrated past the surface, nothing would be left to protect skin’s first line of defense! Bottom line: Hydrafacials aren’t really worth your time or money. You’d get more bang for your buck investing in a cleansing brush such as the Clarisonic! Collagen has no benefit when applied topically beyond moisturizing—even if you could force collagen into the deeper layers of skin, your body wouldn’t know what to do with it. Unfortunately, the only collagen that matters where anti-aging is concerned is what’s produced by your own body. Replace cosmetic corrective procedures such as Botox, lasers, or dermal fillers. Treat rosacea or persistent redness (oftentimes the products and the amount of manipulation involved during a facial make sensitive, reddened skin worse). Eliminate dark circles or puffy eyes. A good aesthetician (and there are many) will know how to help repair and maintain a healthy skin surface. This is important for all skin types, but especially if you have reddened skin, rosacea, eczema, acne, or sensitive skin. Steaming skin, especially with abnormally hot steam, can worsen redness and potentially result in broken capillaries that show up as thin, spider-like lines. Being too aggressive with extractions for acne or blackheads can make clogged pores worse and push acne lesions deeper into your skin. Using essential oils, all of which may smell divine, but fragrance isn’t skin care. All fragrance, synthetic or natural, causes irritation, and irritation harms your skin. 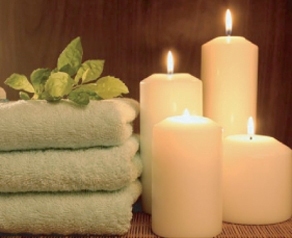 Using products that contain irritating ingredients such as alcohol, camphor, or menthol. Even if you cannot see or feel the irritation, it’s happening beneath the skin’s surface. The result? Damaged collagen production and destruction of vital substances your skin needs to look young and healthy. Using “facial rejuvenation” devices without proper training or a working knowledge of what the client can realistically expect. Unless you are having extractions performed, a good facial should include a relaxing face massage and/or hand and arm massage. Learning how to perform such massages generally is included in the training curriculum at state-accredited aesthetician schools (often with a European influence). However, you should not get a facial massage if you have broken capillaries, rosacea, or sensitive skin. And, if you do get one, it should never involve pulling or tugging at the skin because the pulling and tugging can increase sagging by breaking down the elastin in skin. What About Devices Used During a Facial? Many facials include the use of hand-held devices or “machines” claiming to do everything from improving wrinkles, dark circles, and puffy eyes to dealing with acne, blackheads, and on and on. As intriguing as these options sound (and you will be tempted), for the most part they are either a complete waste of time and money or, depending on how often they’re done, actually have negative consequences for your skin. The most typical treatment machines you are likely to encounter when getting a facial include oxygen-infusing machines, peeling devices, product-infusing devices, and microdermabrasion systems. Here is what you need to know about these devices and their use. Peeling devices (not including microdermabrasion machines) are hand-held tools with a hard metal edge the aesthetician scrapes across the surface of the skin, much like you might scrape a layer of frost off your car’s windshield. Sometimes these peeling tools are combined with another type of treatment in one machine, such as a device that uses the peeling step along with an oxygen-infusing option. Pros: When used by a skilled aesthetician for the proper skin type (and used with extreme caution), a scraping tool can effectively exfoliate skin. Cons: Device is “dragged” and pulled along the skin to exfoliate. It’s an archaic and potentially damaging way to exfoliate skin. 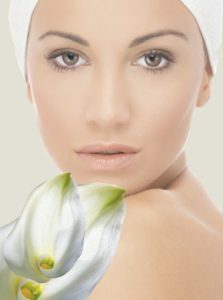 Product-infusing devices can be separate machines or can be combined with a peeling device for an all-in-one treatment. Product-infusing devices typically use either electrical currents or ultrasonic waves. Supposedly, the currents or waves open pathways between skin cells so the ingredients in the skin-care products can go deeper into the skin to perform all sorts of miracles, such as lifting, firming, and reducing wrinkles. The sales pitch usually mentions that the more often you have these treatments the longer these pathways will remain open. As it turns out, there’s no substantiated research proving these machines work as claimed. Even if these machines could “infuse” ingredients deeper into your skin, what happens if those ingredients go right past where they can do your skin the most good? Plus, there’s the potential risk of getting unwanted ingredients (like preservatives or problematic plant extracts) deeper into the skin, where their negative effects may be worse. Even beneficial ingredients like vitamin C or retinol might be more sensitizing if they are “pushed” deeper into the skin, rather than being allowed to penetrate the uppermost layers on their own. Cons: The claims for product-infusing devices are complete and utter nonsense. There is no published research showing these devices have any benefit for skin. Even assuming that electricity or ultrasonic waves could open pathways into the skin’s dermis (lower layer), doing so would actually damage your skin. “Pathways into skin” means the surface and lower layers of the skin would no longer be cohesive, but torn open, which would allow penetration by bacteria, pollution, and ingredients in skin-care products that should remain on the surface, where they can be washed off. Negative ion pore-clearing therapy (often administered by a peeling device or product-infusing device) doesn’t have any impact on skin, whether for opening pores or removing toxins or anything else having to do with skin. Negative ions cannot “resonate” or move through skin, whether they are in the air or generated by a machine, so they can’t affect the pore. It may be a surprise to you, but skin has no ability to excrete toxins. Toxins cannot leave your body through the pores or through your skin. Real detoxification of foreign substances takes place in the liver. The liver changes a toxin’s chemical structure so it can be excreted by the kidneys, which filter it safely from the blood into the urine. Skin can’t modify toxins in any way, so the toxins can’t exit through the skin via sweat or other means. People often think sweating eliminates toxins, but sweat’s chief function is to cool the body, not eliminate toxins. Sweat can eliminate some by-products, such as urea, but these by-products aren’t the kind of toxins spa personnel are referring to. They usually are referring to chemicals in skin-care products, processed foods, or air pollution. Pros: Because both positive and negative ions can be inhaled and because negative ions are generated in abundance after a storm (when the air is calm and seems very fresh), we know they can have a relaxing effect on the body. There is some research showing that negative ions can have the same relaxing effect on the body when inhaled, even if they are mechanically generated, but this inhalation of ions has nothing to do with eliminating toxins or clearing pores of cellular debris that leads to clogs and acne. Cons: Ions, whether positively or negatively charged, cannot open, close, or clarify pores, nor can they eliminate toxins; this type of treatment cannot improve acne. Microdermabrasion, also called the Lunchtime Peel, Italian Peel, or Paris Peel (among other names), is a non-surgical skin-resurfacing procedure. A machine with a small vacuum-like tip shoots a jet of small, abrasive crystals (usually aluminum or magnesium oxide) onto the skin, and then vacuums them off the skin. Depending on the pressure and intensity settings (which are controlled by the technician), you get different depths of exfoliation. The stronger the setting, the deeper the effects, but that also means more risk to your skin. Despite the “peel” names microdermabrasion also goes by, technically, it is not a peel (like an alpha hydroxy acid peel), but rather a machine-calibrated way to scrub and polish skin. Pros: Because microdermabrasion is an effective way to exfoliate skin more deeply, it can help refine pores, improve the appearance of acne scars, and help even out blotchy, thickened, sun-damaged skin. Cons: It can be too harsh on skin when overdone or done too often, leading to collagen breakdown. Some skin tones may get dark or light patches as side effects from the treatment if it is too strong. Oxygen-infusion machines apply a concentrated amount of topical oxygen to facial skin via a small tube hooked up to an oxygen machine. Your face is covered with a special domed mask to keep the oxygen from escaping. Before the oxygen is turned on, your face is prepped with a product-infused cloth or a facial mask. Once the dome mask is secured and the machine is turned on, it’s left running for about 20 minutes. Depending on the spa and the aesthetician, a special tool that delivers concentrated bursts of oxygen to key areas may be used during the treatment. Pros: Although theoretically this procedure can improve circulation and promote healing, most researchers find this highly unlikely, especially if used on otherwise healthy, intact skin. Cons: There is no research showing oxygen-infusion machines have any benefit for wrinkles or aging skin whatsoever. Oxygen cannot pass through skin unless it is delivered in a hyperbaric (pressurized) booth. The short-term impact can be an increase in free-radical damage, thus negating any positive results. After considering the information above, the bottom line is this: A good facial can make you look and feel better than when you arrived for your appointment, but whether done once or routinely, facials cannot perform miracles, and they have their limits. Now that you have the facts, you will get the best results possible from a facial, not waste money, and feel great!